Wood is one of my favorite materials in crafts and when it is needed I try to find ways to make it part of projects and look at it from a different points of view. 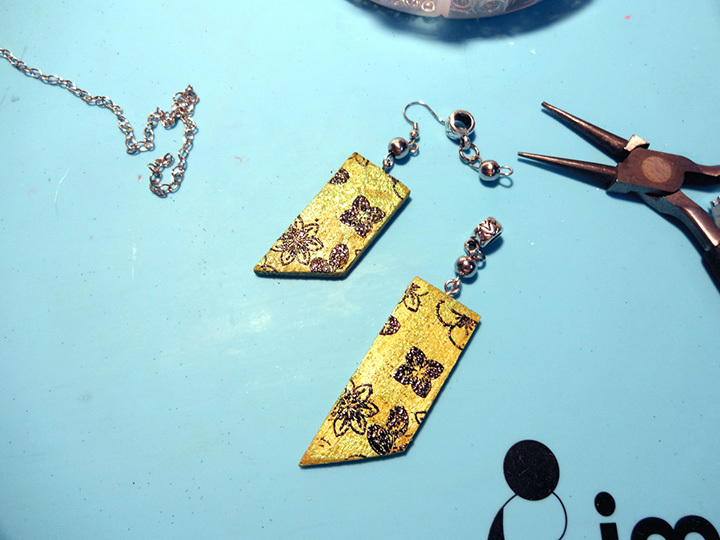 Having canvas wooden wedges around for some time, I decided to color them with Walnut Ink and make pieces of jewelry. The canvas wedges are covered Iridescent Creative Medium and decorated with heat embossed stamps. It is easy to craft and is also a nice way of upcycling. 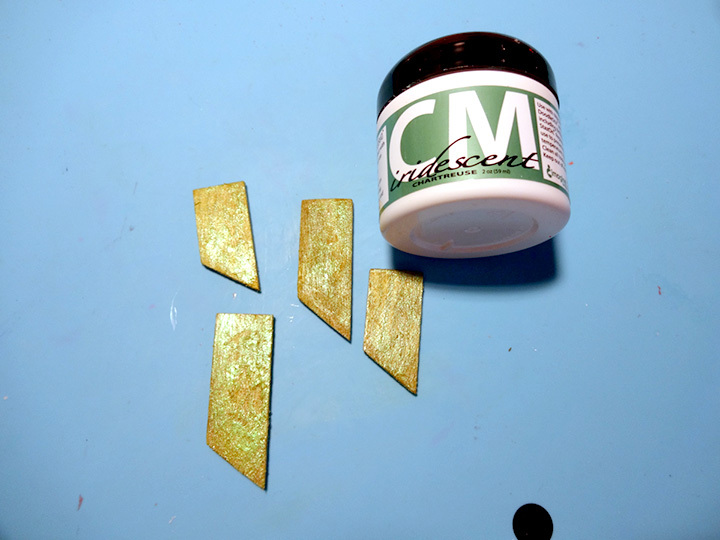 Cut two of the four wedges 1/4 inch to make the earrings. 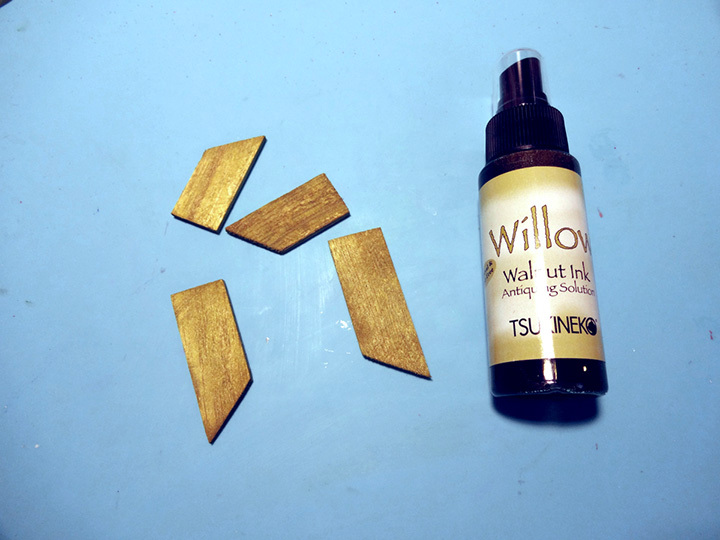 Color the wedges with the Walnut Ink in Willow. Cover all sides with Creative Medium Chartreuse. 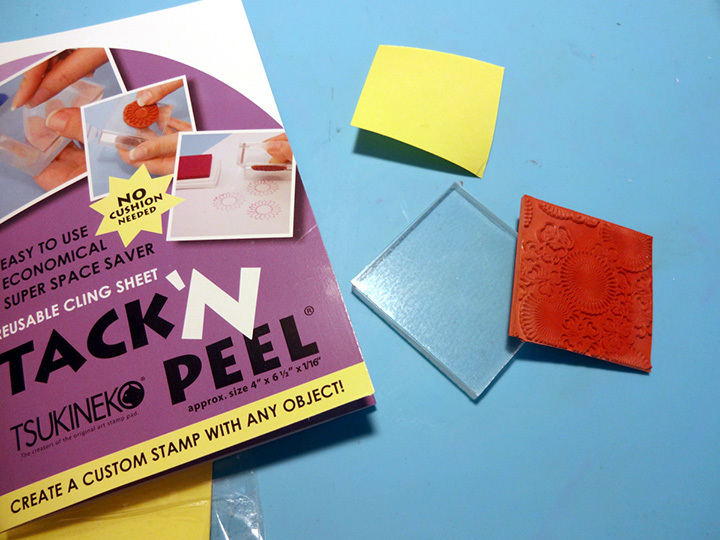 Having a rubber with no cling sheet, I used the Tack N Peel to set and work with the stamp. 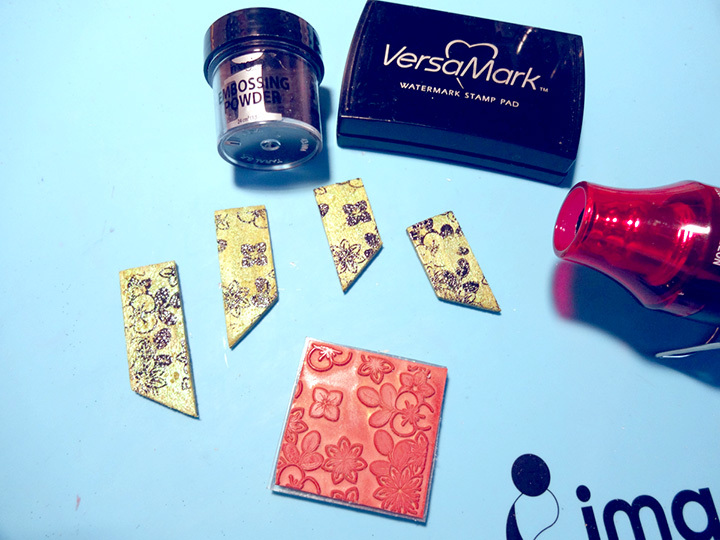 Stamp the design and heat emboss using VersaMark and Imagine black embossing powder. 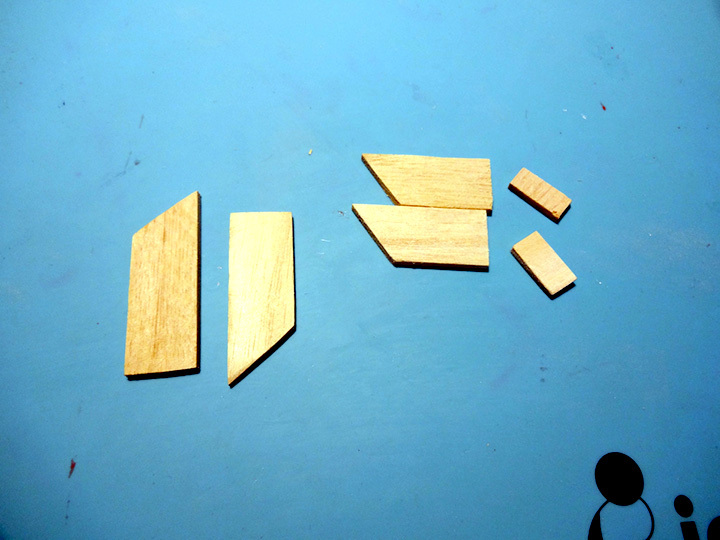 Make sure to stamp both sides on the wedges to be used as earrings. Center and attach small screws to the top of the wood pieces and continue to embellish with metallic beads. Attach earring hooks, and a chain. This entry was posted in Jewelry, Kyriakos Pachadiroglou, PROJECTS and tagged Creative Medium, DIY, Embossing, Handmade, INSPIRATION, Jewelry, jewelry making. Bookmark the permalink.